The marina harbor is truly one of the county’s precious gems, which makes it a unique and elegant destination for different occasions, most especially for corporate conferences. Many companies organize meetings, conferences, and conventions in pleasant destinations — the marina harbor in Marina del Rey is at the top of that list! Tiki Mermaid, a boat rental in Marina del Rey California, provides a tranquil and versatile conference venue perfect to take your conference to a new level of elegance and comfort as you enjoy the beautiful view of the marina harbor. Why not give your business clients a unique environment the next time you organize a conference? 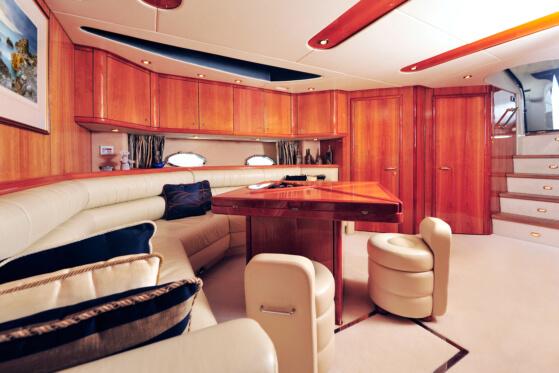 Among the best elements that you can expect from a yacht charter in California is the attention to detail of your preferences and unequaled event production experience, which will deliver satisfaction and pleasure to your guests — from food and drinks to setting and equipment to facilitate your conference presentation. In addition, our cruise yacht features excellent customer service and delicious menu packages to fulfill your guest’s tastes. We offer all the amenities you need in a conference room. After being in the office all day, it is good to be on the water, appreciating the beautiful views along the coast of Marina del Rey. On the sky deck, the spectacular view of the marina harbor can be seen. This allows guests or attendees to assimilate the beautiful atmosphere. Find out why a party boat in California is the most pleasant venue for your conferencing needs! Contact us today. This entry was posted in Harbor of Marina del Rey and tagged boat rental, Conference Events, Yacht Charter. Bookmark the permalink.